BINDING MACHINES There are 11 products. 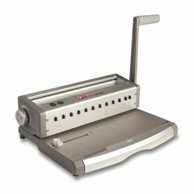 NEW compact binding machine for use at home and in small offices. New shape of handle makes punching extremely easy and effective. Plastic housing, eye-catching design! 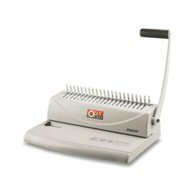 Small size office binding machine equipped with professional, smoothly working mechanism to open plastic combs and ergonomic, metal handle for punching the paper. A truly reliable and easy-to-use machine. 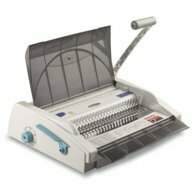 NEW binding machine for use at home and in small offices. New shape of handle makes punching extremely easy and effective. Variable margin depth. Plastic housing, eye-catching design! 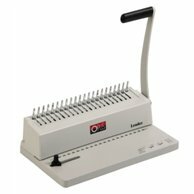 Durable and easy-to-use office binding machine. 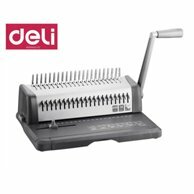 Solid metal base, margin and format adjustments plus professional mechanism to stretch the combs make it user-friendly and reliable. 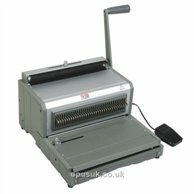 Small size manual coil binding machine for office. 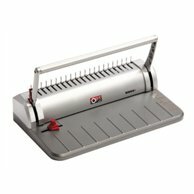 Equipped with ergonomic handle for punching and paper stop guide. 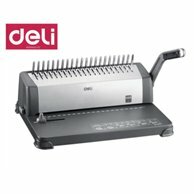 New binding machine for wire comb 3:1" (3 wholes per one inch). Recommended for small offices and copy shops. 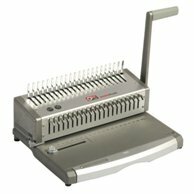 A modern binding machine for plastic combs. Recommended for use in big offices and copy-shops. 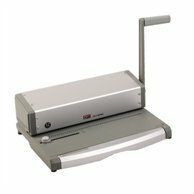 Professional, manually operated binding machine with a solid base and a safeguard. Ideal for intensive use, thus recommended in big offices and copy-shops. A two-handle system significantly shortens binding time. 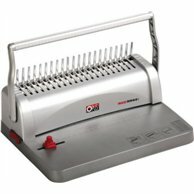 Modern, fully professional binding machine for wire comb 3:1" (3 wholes per one inch). Recommended for big offices and copy shops.